Early in the history of Woo! 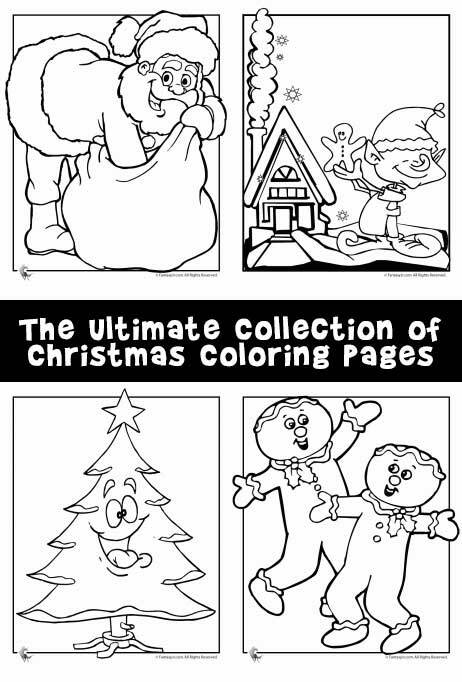 Jr., we used to have 7 websites that all had several different sets of Christmas coloring pages based on themes. Once we consolidated and moved all the content into one site, it just made sense to put ALL of those coloring pages into one place. So yeah, this page includes 6 years worth of coloring pages now all in one place. No wonder we call it our ultimate collection! We’ll kick off this collection with Santa. Because St. Nicholas is pretty dang important around here. 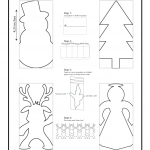 These are some of my favorite Christmas coloring pages we have on Woo! Jr. Elves are always cool. I think it’s because I was always such a huge fan of fantasy books when I was a child. We always get a fresh Christmas tree every year, despite the fact that it’s kind of a pain in the neck and is a total pine needle mess by the end of December. I just can’t do the holiday without the smell of pine tree in the room! 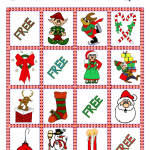 Have fun with the blank tree page by drawing decorations for it, or by gluing things like sequins, cut paper shapes, ribbon, and other items to turn the coloring page into a sensory activity for preschoolers. 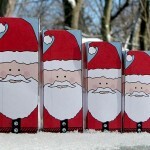 What would the holiday season be without all the fun, fattening treats we make and bake? I think that New Years resolutions are only a thing because we pig out so much in December! I miss the days when my kids were really little and they actually got toys for Christmas. These days it’s all smart phones, tablets, games, and spending cash. Teenagers just get more and more expensive every holiday season! No ‘ultimate’ collection would be complete without a set of angels to celebrate Christmas. The first 4 are extra simple, making these drawings easier for little hands to color. Here’s a little section that you can use in case a need for very secular coloring pages around the holidays. Because everyone of every religion likes to see cute animals in the snow! Yes, I know penguins are both considered winter birds AND winter animals, but I just had to give them their own heading, because, really? Penguins rock my world.